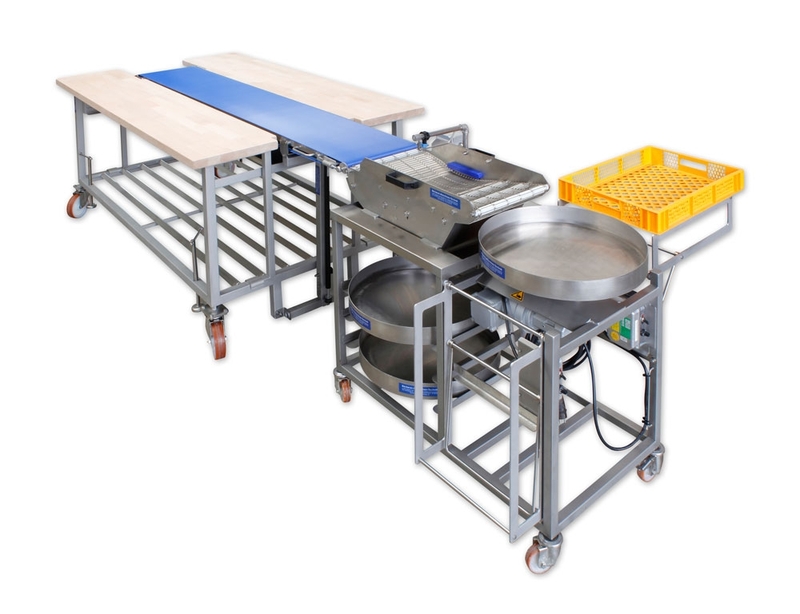 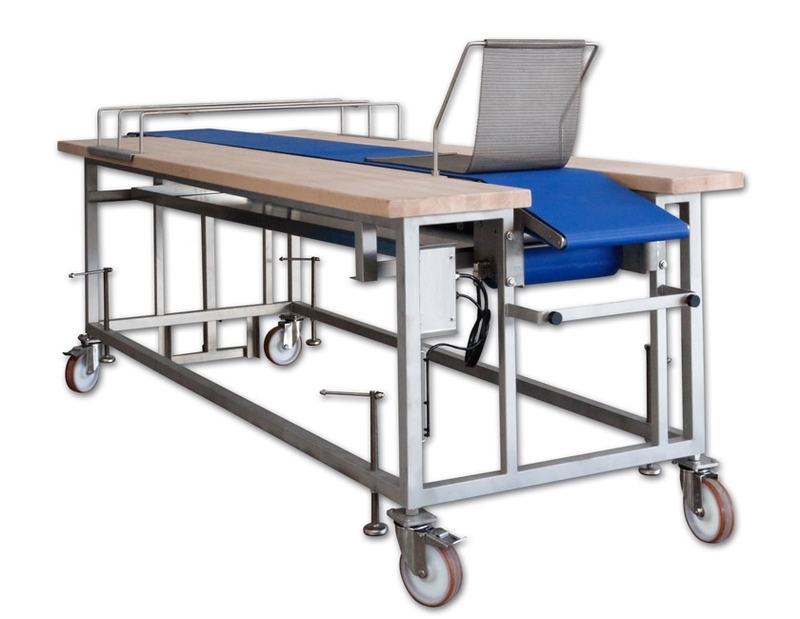 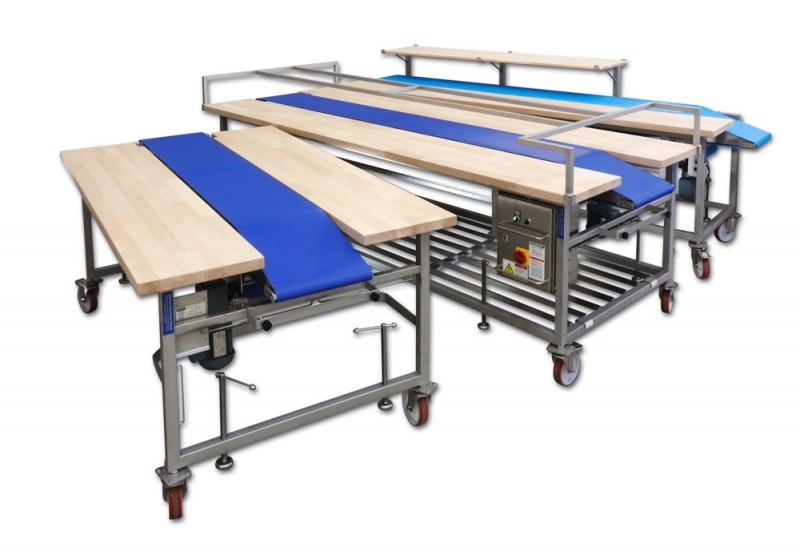 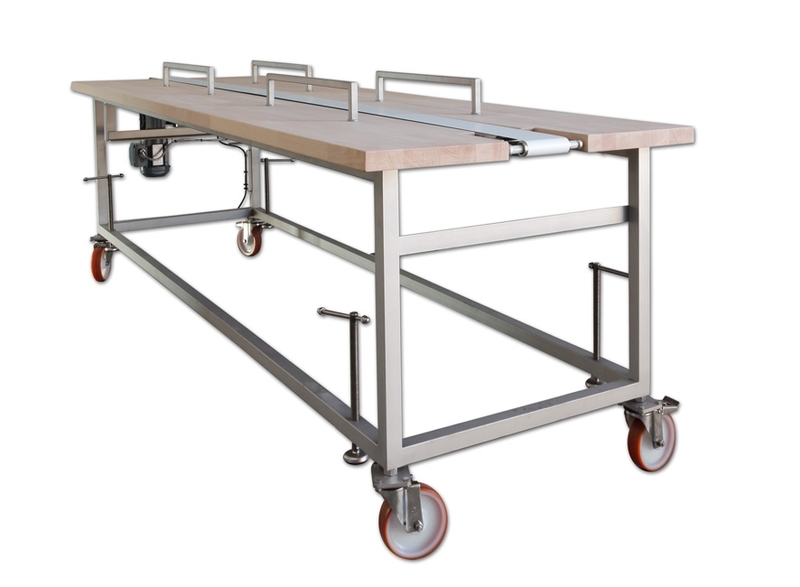 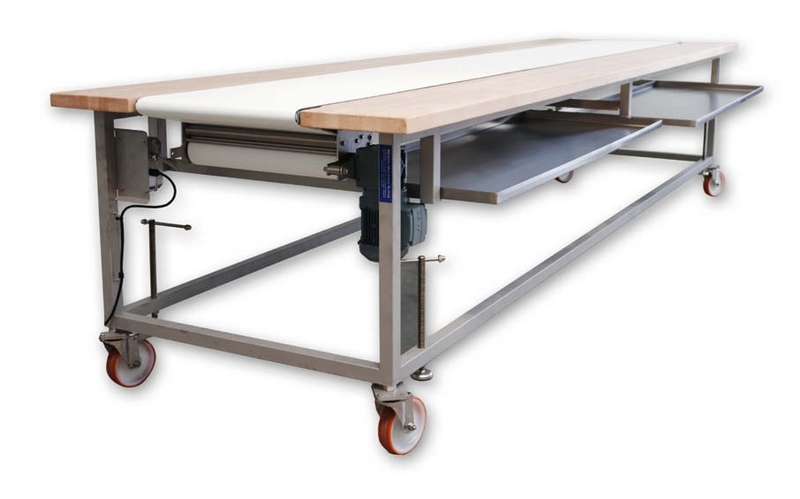 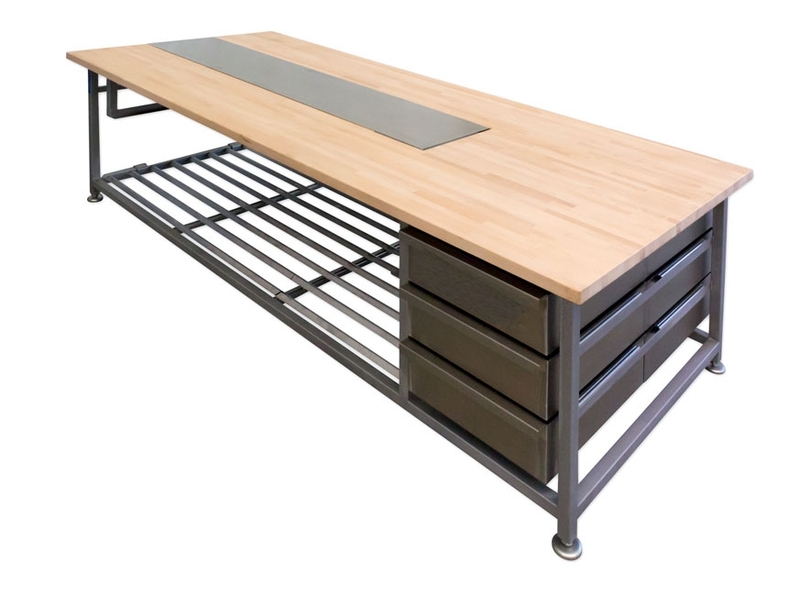 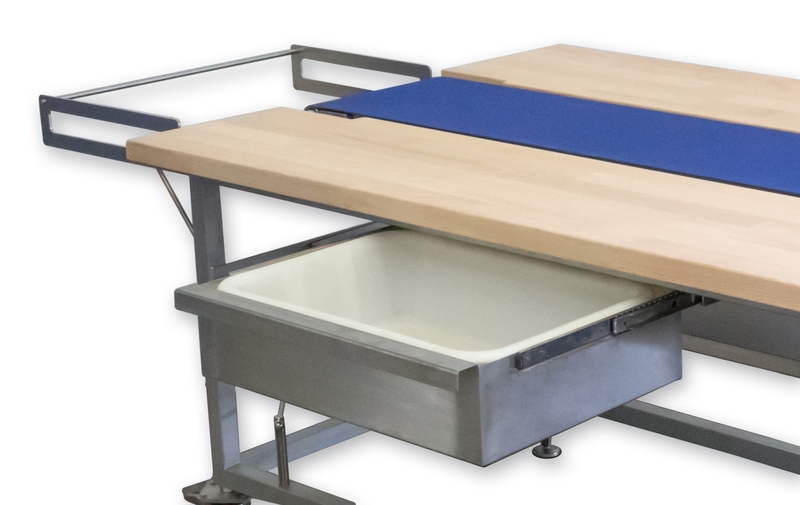 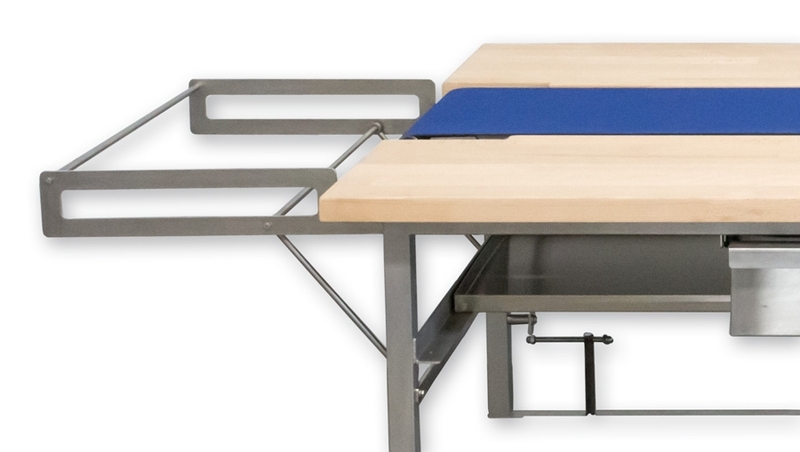 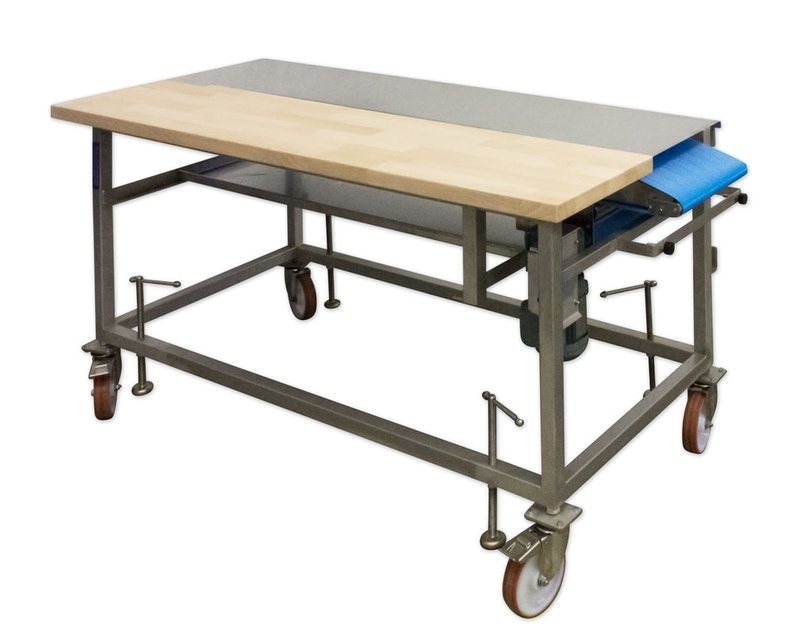 Our robust work tables are applicable in a wide range. 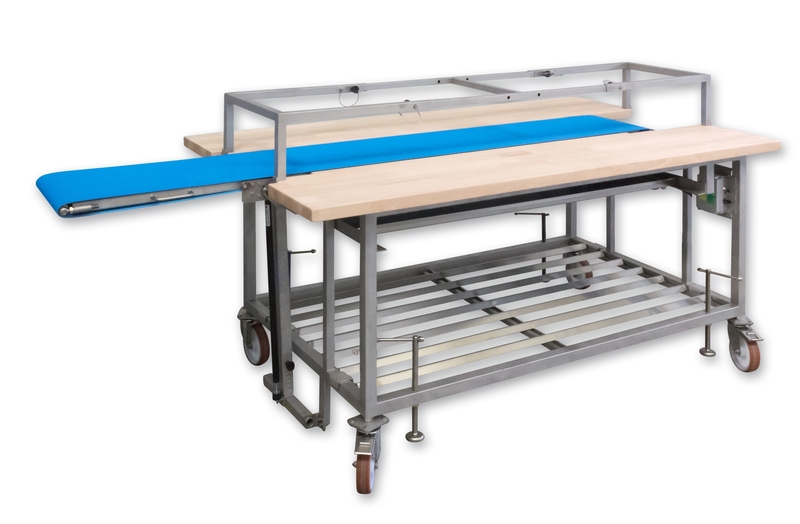 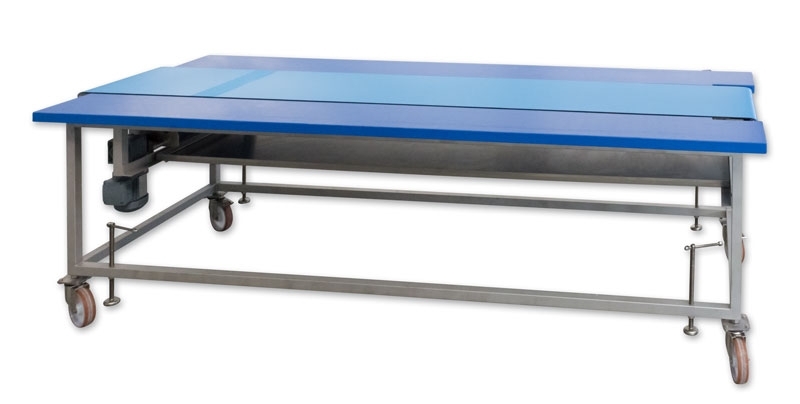 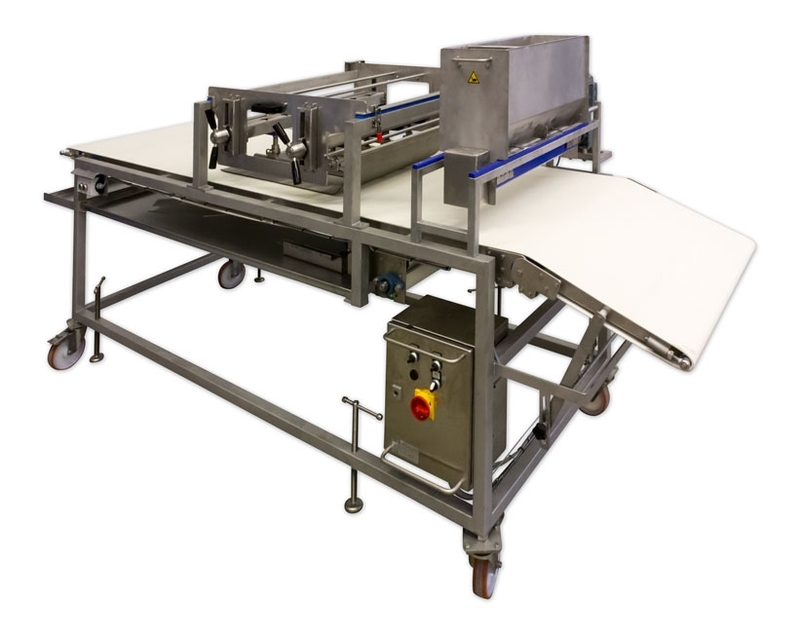 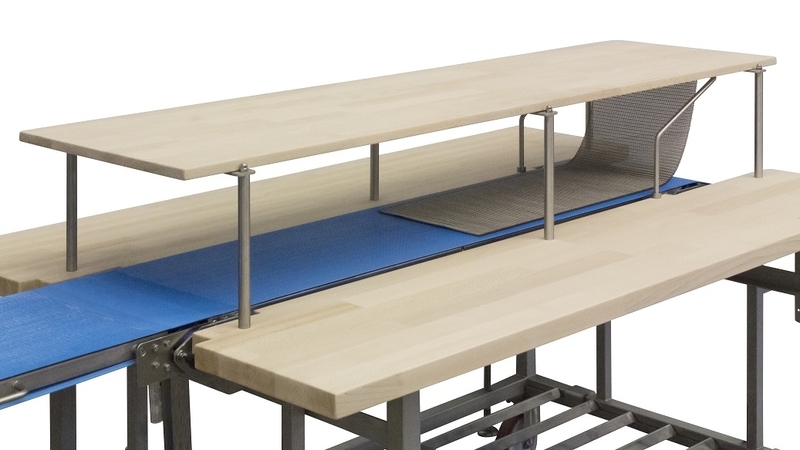 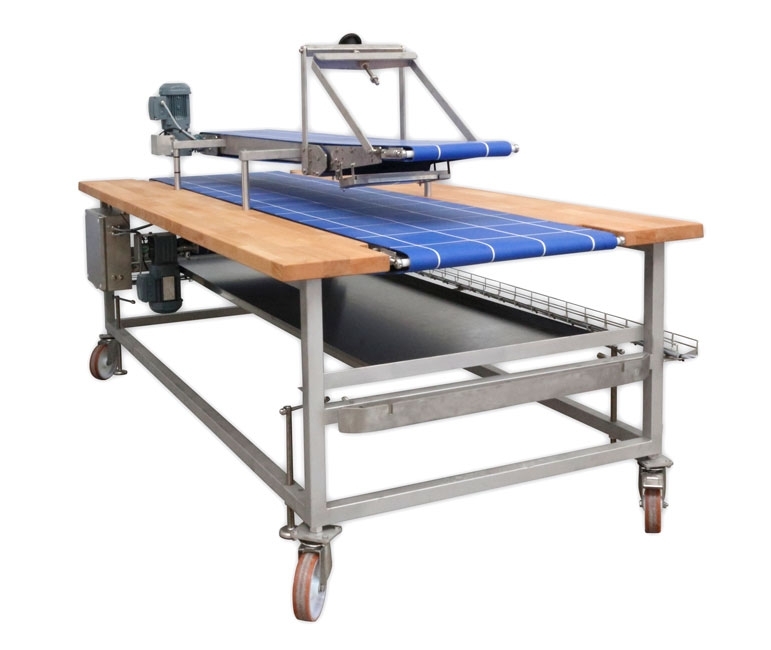 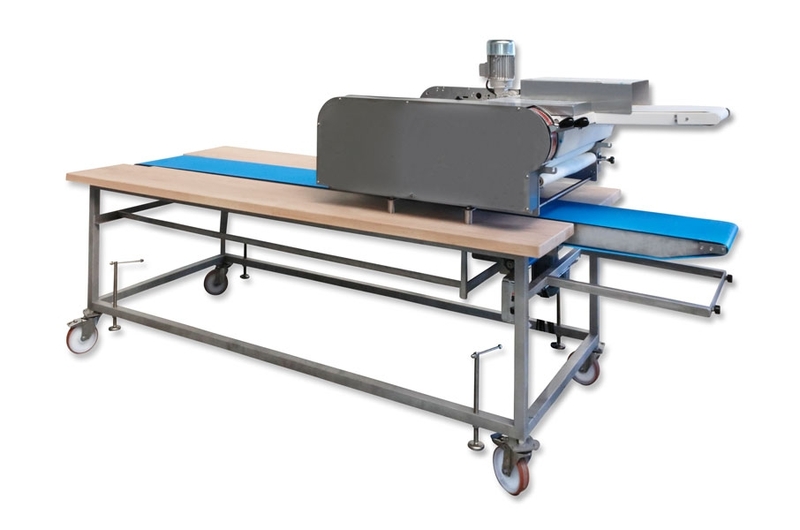 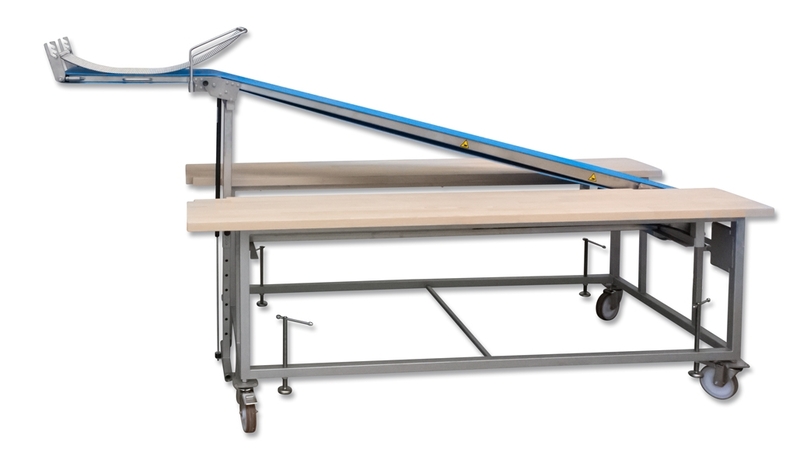 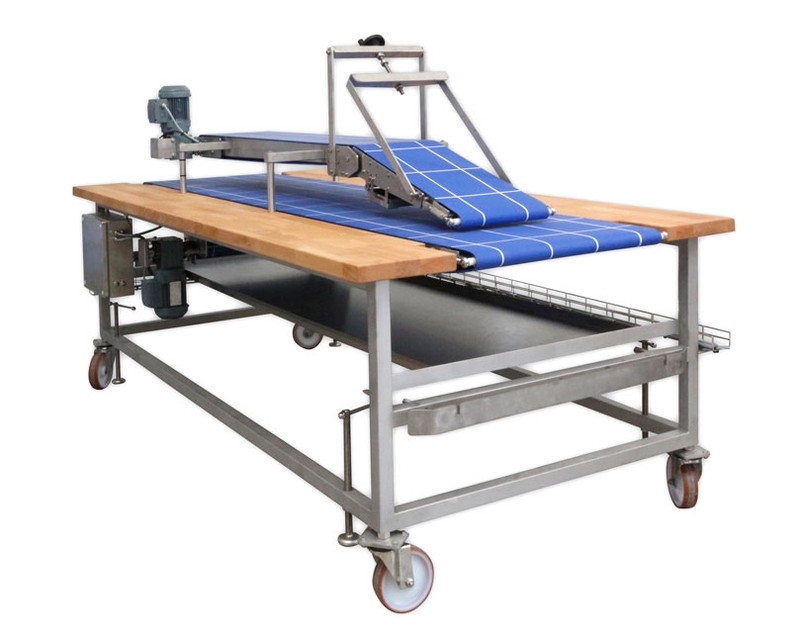 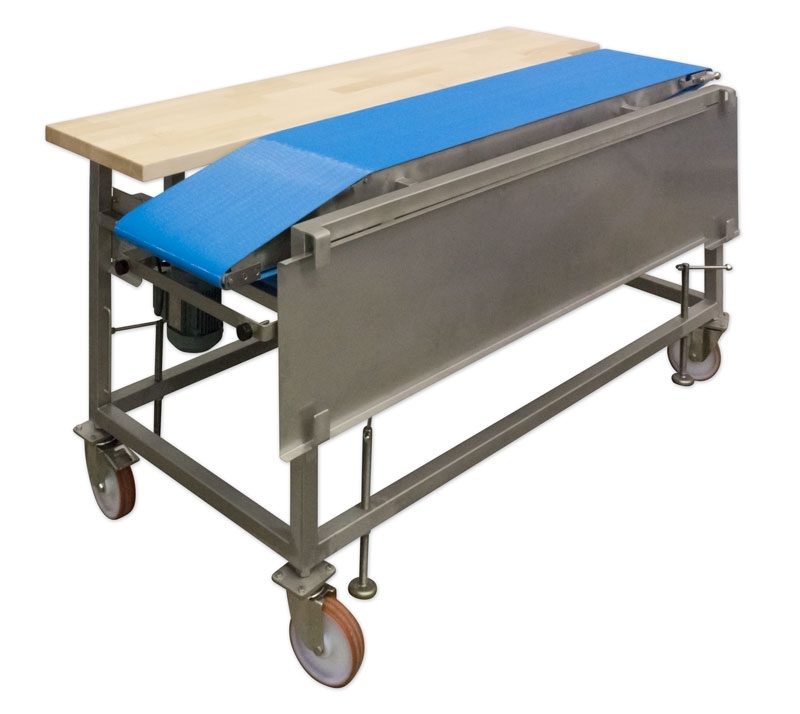 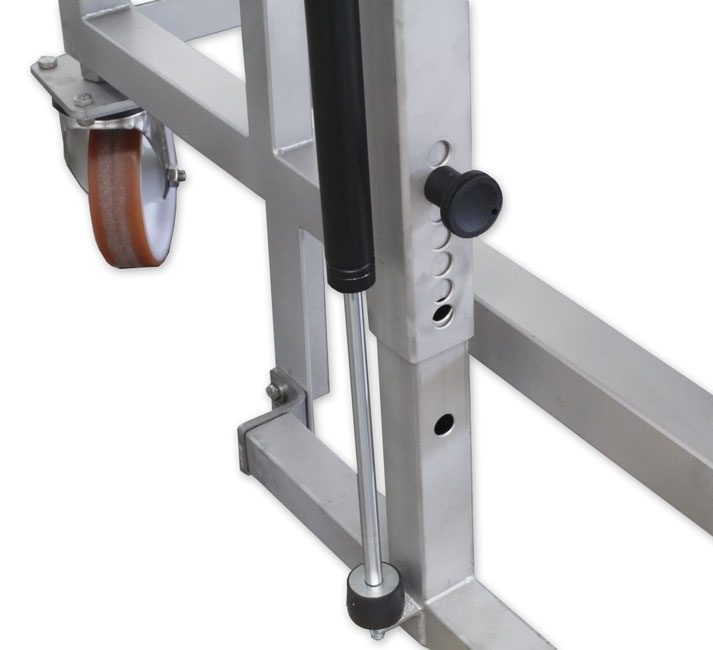 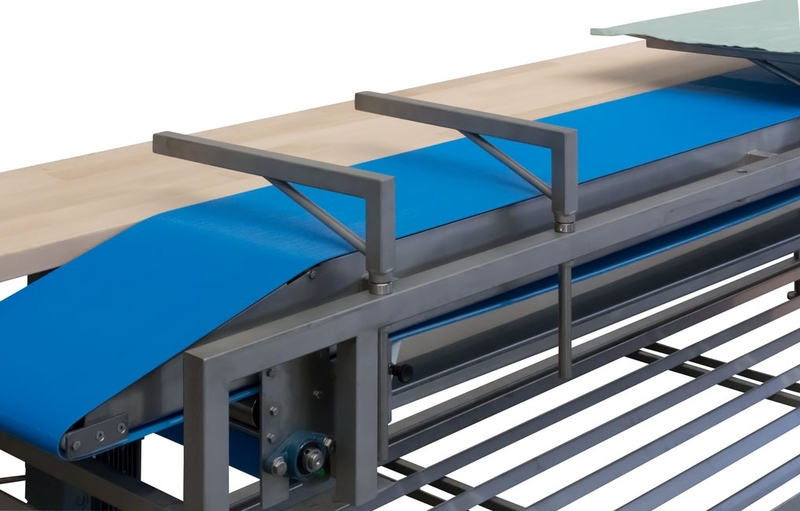 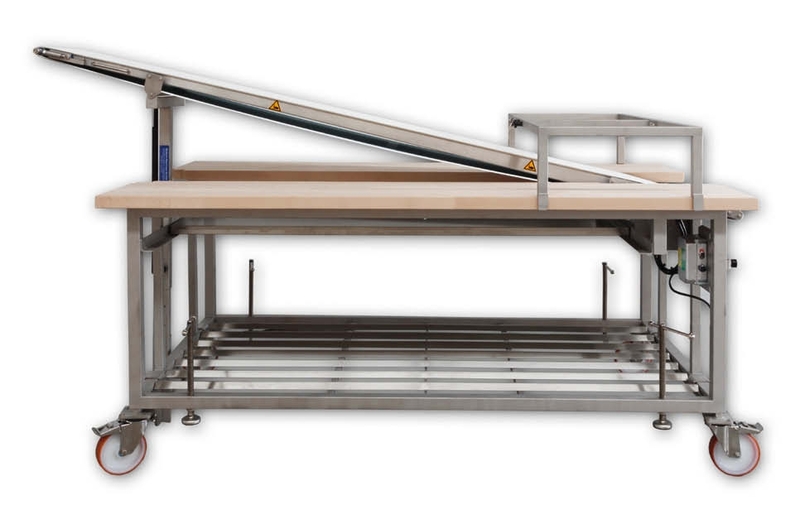 Table dimensions, table materials as well as conveyor belts are customised according to your requirements. 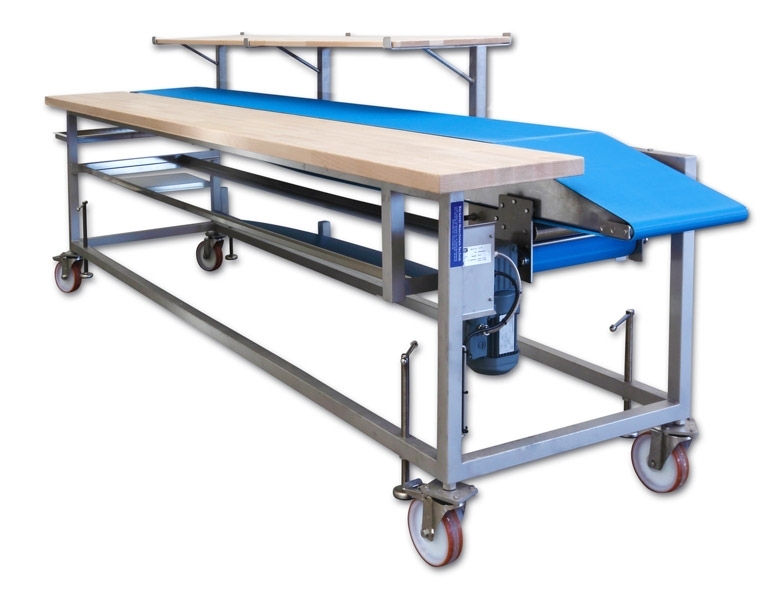 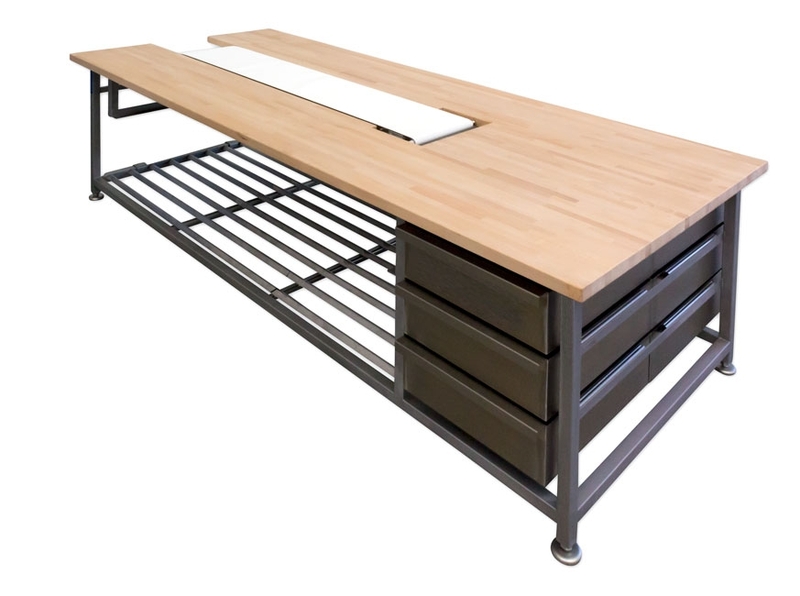 In addition there are deversified setting options for the work table and a variety of shelves. 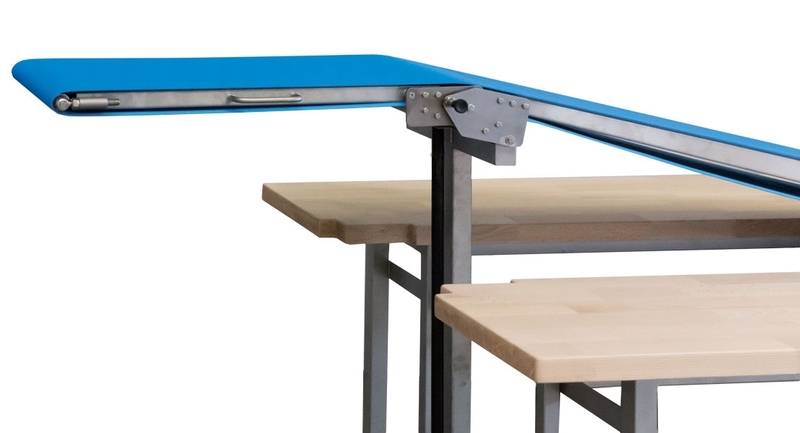 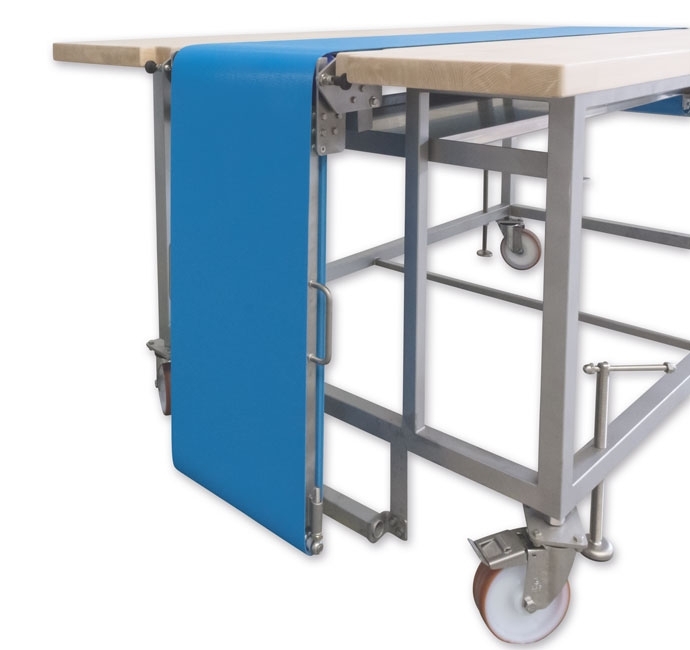 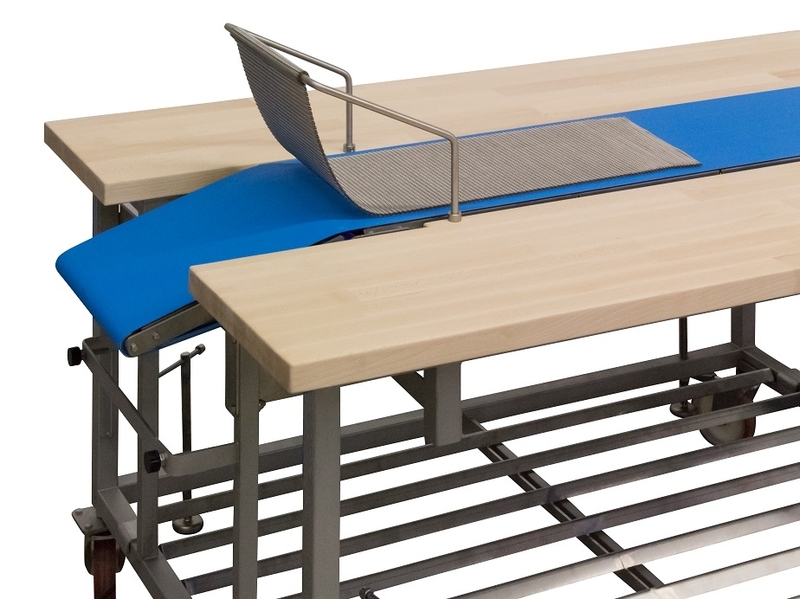 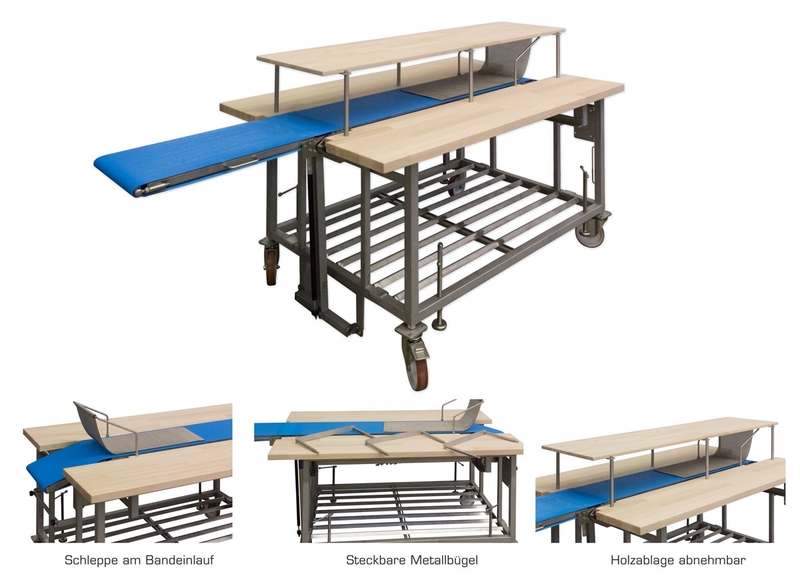 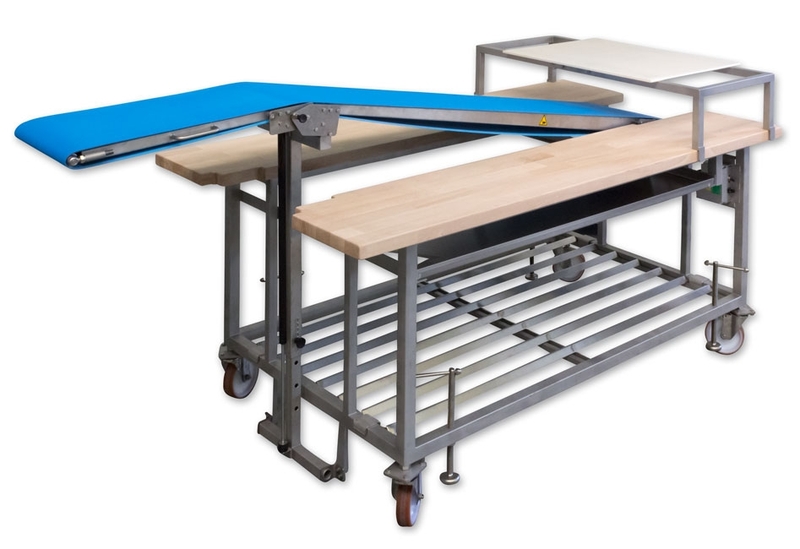 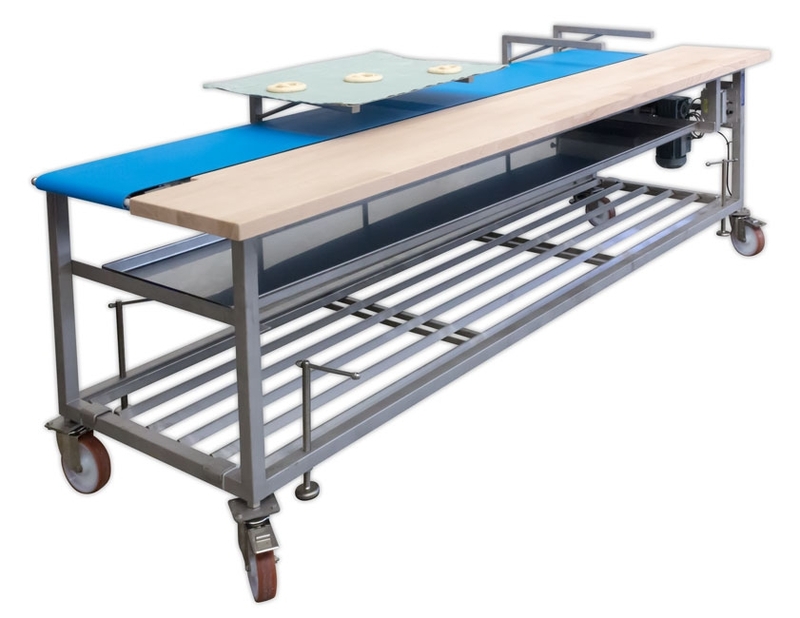 With the selection of accessories work tables can be equipped according to your individual requirements and can easily be retrofitted even after years without any problems. 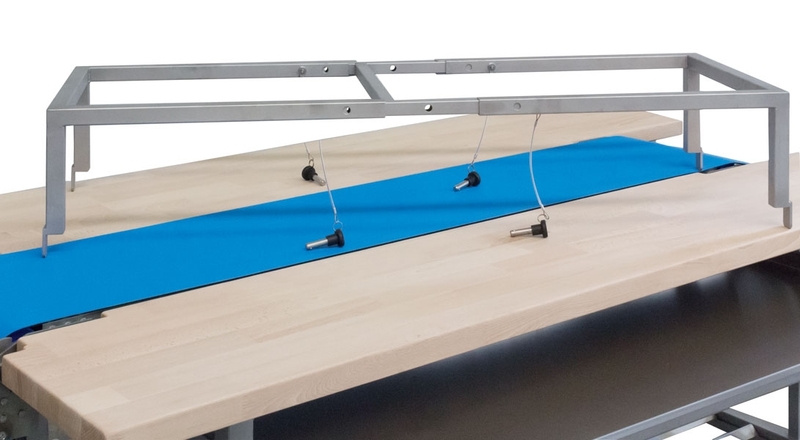 The retractable belt nose saves space and gives protection to the belt. 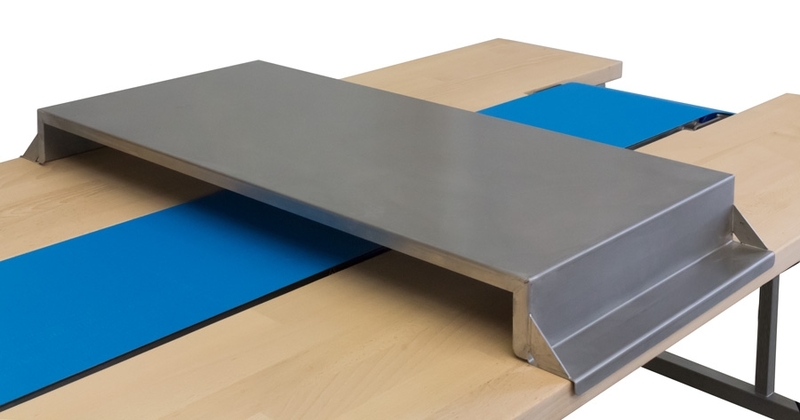 Can be positioned at belt inlet or belt outlet. 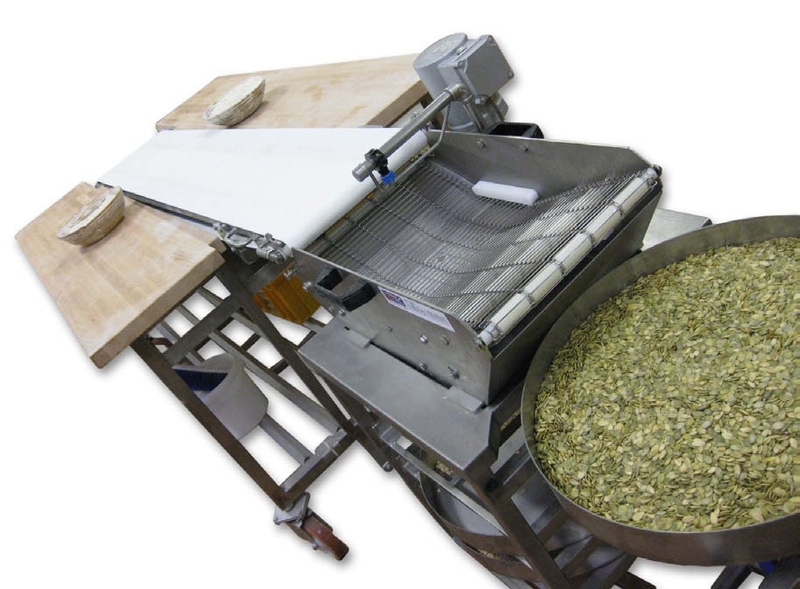 To transfer to croissant winder or conical rounder.